I received my glasses and am very pleased with them. This was my first time to purchase glasses online and will not hesitate to order from optical4less again. I wll tell my Canadian friends about your great Company. I received my glasses and am very pleased with them. Thank you so much for offering such a great product at such low prices! I spent $29 each on two of the glasses. That's nearly 10 times less than what I would be charged in a local shop here in the US. I spent less than $170 on 4 pair and that's with reflective coating on the aviators and polycarbonate for the rimless! Thank you so much for offering such a great product at such low prices! That's nearly 10 times less than what I would be charged in a local shop here in the US. I spent less than $170 on 4 pair of glasses! I was playing drums one night and my stick hit my glasses off and on to the floor. When the song was done, to my amazement, I found that my glasses were still in one piece! I was so pleased with my first two pairs that I have ordered 2 more, including my first varifocals, which I look forward to. I received these sunglasses today, and I am very happy with them. definitely superior in frame quality and optical precision. These glasses are definitely superior in frame quality and optical precision. I ordered progressive bifocals with a gradient tint. on different frames before placing my order. Very satisfied, and the glasses needed no adjustments. I received my order in a very timely manner. The glasses look great, the lenses are high quality and so are the frames. I will definitely be ordering from Optical4Less in the future and will recommend your site to all my friends. The lenses are high quality and so are the frames. I will definitely be ordering from Optical4Less in the future. Got my order last week and everything is perfect. Under $50 for one pair of RX sunglasses and one pair of regular specs. Check out my galary with P124 glasses on Flickr! Got my order last week and everything is perfect! Just got my glasses in the mail today. I am so impressed I plan to buy a pair of sunglasses also. Couldn't be happier with my glasses. Oh my goodness! These glasses are great! I got them in 10 days. 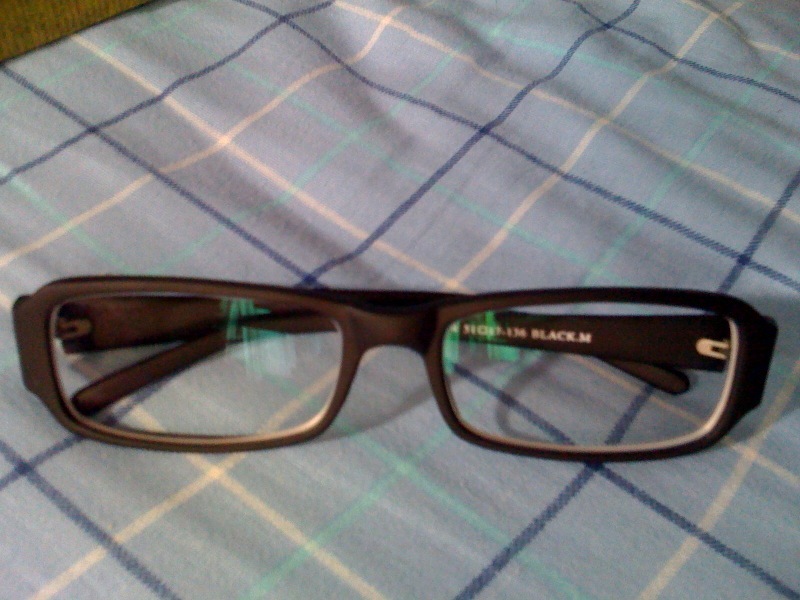 They look really nice, fit perfectly and most importantly, the prescription is right. I don't know anywhere that you can get a better deal than this. I have poor vision and need bifocals and my glasses cost $400+ at a discount optometrist like Sam's Club. These glasses were less than half that price. Thank you for your star service! Glasses arrived in a timely manner, fits perfectly, of high standard workmanship, looks fantastic! The transitional lenses are beautiful. I'll be definitely ordering from you in the future. Thank you for your star service. The transitional lenses are beautiful! After just 4 months my prescription changed and I needed new glasses. For economic reasons I searched the internet and found Optical4less.com. I am so pleased! The glasses are great. Better than hoped for! I just recommended Optical4less.com to everyone I volunteer with and all my senior friends. I've just received my new pair of glasses and they are great! Perfect packaging and good time of shipment. I suggest to anyone to try your products. Thank you very much for your service and glasses provided. I will soon by a pair of sun glasses for the incoming summer. After looking at glasses locally and seeing how expensive they were I remember my friend telling me about optical4less.com. So I looked around and found a pair of plastic frames that I loved. They were only $29 so I had to get them! Eight days after I ordered them I got them and they fit perfectly. I love how they came so well wrapped and protected in a very nice case. Thank you so much for taking the time to hand wrap them and making sure they were in the greatest condition. Everyone I know says I look great in them and asks me which store I got them from. No one can believe I got them online and for such an amazing price. I recommend optical4less.com to everybody. I love the glasses! 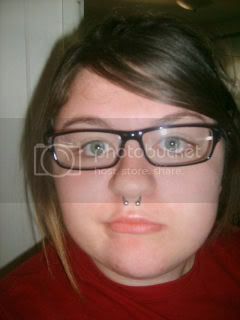 The frames are exactly as they looked in the photos. I can't wait to get another pair. I have easily saved $100 to $200 over local shops here in Toledo, Ohio. The frames are exactly as they looked in the photos. I am quite happy with your service. My previous pair had broken, and you worked with me to get me discount on another pair. You also e-mailed me to clarify the dimensions of the new lens that I ordered. My glasses arrived in perfect condition and a little less than a week. I am very satisfied with my purchase, and I have already referred your company to a couple of friends. Thank you for your service. To the staff of optical 4 less. I received my glasses yesterday afternoon, as I looked upon the coolest little package so neatly wrapped in such beautiful paper, with the hand applied stamps, I couldn't wait to open them. As I opened my little package, My glasses were so safely and neatly bubble wrapped. I was so excited to see that finally I had the exact frames and lenses that I wanted. I had been searching for so long for small rimless true round glasses. All my local optical retailers (Connecticut,U.S.A.) did not have them nor would they make them for me. I'm so happy with the workmanship of my new glasses from Optical4less.com, and your prices are fantastic! So affordable that I even also opted to have transition lenses. As soon as I put them on, I ran outside to see them change. AWESOME! I'll never buy my glasses anywhere else! I'm so happy with the service and product, SO worth the wait! I'll defiantly be telling everyone that asks and even those that don't about your website. I would like to personally thank each and everyone involved in your business! kudos to you for making another customer VERY happy! Thank You...Thank You...Thank You! I teach at a small technical school, and one of my fellow teacher's glasses broke. She was having a hard time financially, unable to afford a new pair, and having difficulty in teaching her class without her glasses. I ordered a pair of glasses for her and we were amazed at the quality and price. She was so happy and her students were too! We received my husband's glasses today and are very impressed! Excellant quality frames and lens, and the prescription is dead on! I've paid hundreds of dollars for glasses made locally and not received a product half this good. I'm back today to order more glasses for him and some prescription reading glasses for myself. My goodness! I am shocked. I received my two pair of glasses from Optical4Less within 2 weeks of ordering. I live in Kansas just to give people a point of reference. My glasses are perfect! I've gone for three years with the same glasses because I just couldn't afford the $300 they would cost me at my eye doctor. I now have 2 new fantastic pairs for less than $45! I was really not optimistic that these glasses would be of any quality, much less just as great as any I've ever purchased for hundreds of dollars. If you're considering taking a chance ordering glasses from Optical4Less, do it!!! Love my new glasses I received!! Only took two weeks to get to Florida, and they meet the prescription and fit great! $35 was very inexpensive compared to $300+ at LensCrafters. Thanks so much! Love my new glasses I received!! $35 was very inexpensive compared to $300+ at LensCrafters. The order has been received in excellent condition and exactly in accordance with prescription & order. Am especially pleased as well that you widened the frame arms as I requested to fit my large ear to ear temple measurement. Well done! They actually fit perfectly with no need for any adjustment. This is my second order and again I could not be more pleased. Your quality is outstanding and again I received my order faster than if I had purchased the glasses in NJ. I highly recommend Optical4Less!